Delivers a next-gen gaming experience tailored for maximum enjoyment. The new Xbox 4GB Console. Here today, ready for tomorrow with a brand new, leaner machine. Wi-Fi is built in for easier connection to the world of entertainment on Xbox LIVE. It's ready for the controller-free experiences of Kinect you don't just play the game, you are the game. Xbox One is more games, entertainment, and fun. 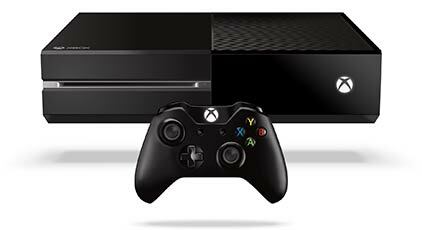 To Recieve updates and possible rewards for Microsoft Xbox One with Kinect please sign in. To Recieve updates and possible rewards for Gaming Console please sign in.